A journalist friend of mine is trying to get some answers from the Icelandic police in relation to a stated liaison between GRPO and the Iceland police. The USA embassy claims it doesnt know that the GRPO is (lol) and I want to ask the Icelandic police about this liaison at a meeting in the parliament. Would be very useful to know what this stands for. Cant find anything useful online, so forget about google. We need your help, if you know how to decode this. ¶D. (S/NF) Iceland does not have an intelligence service. Commissioner's Office handles threat information analysis. “Two separate GRPO sources, one highly credible, have alleged that Patiño obtained and managed Venezuelan funds for Correa’s campaign. An uncorroborated report from a GRPO source indicated that Patiño also solicited funds from the FARC for Correa’s campaign,” the cable reads. I have been waiting for some time to get an official request from Edward Snowden in regard for application for Icelandic citizenship. Yesterday the request came, and me and members of 4 parties in the Icelandic parliament put forward a bill urging the parliament to process his request. It is important to put current political situation in Iceland into perspective. We had election April 27th this year. After elections we always have summer parliament session. The newly elected government is very different from the last government that was elected in the wake of the financial collapse. This new government intentions is to bring us back to the same form of governing as we had before and lead us to the 3rd largest financial collapse in the history of the world. Non of the wisdom nor the attempts for democratic reform and more open society we gained just after the collapse will stick under the reign of this new governing. Yesterday was the last day of summer parliament and thus utterly critical that we would be allowed to speak for the Snowden citizenship bill in order to move it to the General committee in order to be able to start fact gathering on behalf of the parliament so we could move this bill forward despite the parliament not being in session. The new speaker of the house denied our request to put the bill on the agenda yesterday. I put forward a motion for the parliament to vote for it to be spoken for. The entire majority said NO to this process, except for 5 who said neither yes or no. The entire minority supported the motion but that was not enough. So it is with great grief I have to announce that Snowden will not be getting any form of shelter in Iceland because the current government doesnt even have enough spine for the parliament to discuss Snowden´s request. The parliament wont be coming together again until the 10th of September. I hope we have set an example for other parliaments that remain is session this summer or gather sooner then ours to give Snowden citizenship for he has been made stateless by his own government for blowing the whistle on grave human rights violations by his and other governments against all of humanity. I am thankful towards the minority parties in Iceland for supporting the Pirate Party and of course Snowden in this attempt to help him. I and many others regard him as a hero and have deep respect for him for he has taken great personal risk in order to inform the rest of us about how those in power have lost control of their powerlust and violated their own constitutions against their own citizens. Mr Snowden your courage has been noted and there are millions of people from all backgrounds who honor the risks you have taken for us and we will stand tall with you. Will Snowden get Icelandic Citizenship any time soon? Today all the members of the Icelandic Pirate Party and members from 3 other parties, including party chair of the Social Democrats and former Interior Minister put forward in the Icelandic Parliament a bill to urge the parliament to grant Edward J. Snowden citizenship. The parliament has finally received a request for citizenship from Mr Snowden and many of the parliamentarians believe it is their duty to offer Mr Snowden shelter for his USA passport has been stripped from him and has been left de-facto stateless by his own government. The parliamentarians and many Icelanders share the same concerns as Amnesty International that if extradited to the USA Mr Snowden could be at risk of ill-treatment and possibly a subject of torture. No one should be charged for disclosing information of human rights violations. Such disclosures are protected under the rights to information and freedom of expression. The current governmental parties did not have the guts to co-sponsor the bill, however they still have time to change their minds, since the parliament is heading into recess. The reason for the delay in putting forward the bill is that the parliament had not received a formal request from Snowden until today. It is impossible to predict if Snowden will be granted citizenship, this is more of a statement for the time being and an encouragement to the governmental parties to stand tall for human rights and by those that call upon our doors while faced with grave danger. The following parties and members of parliament sponsored the bill of granting Snowden citizenship. threats of aggression, when basic principles are at stake. Is it an option for Edward Snowden to seek shelter in Iceland? When it was brought to my attention that Edward Snowden was looking to Iceland for political asylum, I offered to help figure out the legal options for such a request. These are my findings: Snowden should not come to Iceland unless he will request and be granted citizenship by the Icelandic Parliament. Citizenship is the only legal protection that will shelter him from any demands of extradition to the USA. The ideal situation would be for Snowden to be granted a Icelandic passport as was the case with Bobby Fischer. Seeking political asylum is a process that can take long time, and there are no guarantees granted against extradition while the process is ongoing. However since Snowden faces possible death sentence his case is stronger, for it is illegal to extradite a person who faces death sentence from Iceland. It is important to note that Iceland has a terrible track record when it comes to granting political asylum to people seeking shelter, as it is hardly never granted and thus a too dangerous path to be recommended for Snowden. The new Interior minister, Hanna Birna Kristjánsdóttir, has been very stern in her statements announcing that Snowden will not get any sort of special treatment for the Minister fears that if he will be granted asylum, Iceland might have to show humanitarianism in action by transforming its poor treatment towards asylum seekers who seek shelter in Iceland. I was hoping that the new Prime Minster, Sigmundur Davíð Gunnlaugsson, would take the same leadership in this case as a former PM did in the case of Bobby Fischer, for it was a political decision to grant the Chess Master Icelandic citizenship and Icelandic passport while Fischer was in prison in Japan waiting to be extradited to the USA for playing chess in the wrong country. It is still not too late to show such leadership. It is important to note that there has not been any formal requests for asylum from Snowden to the Icelandic government and thus impossible for them to respond with affirmative answer until such a request has been received. 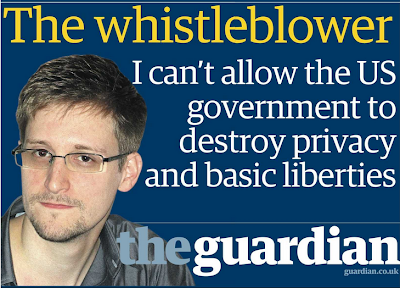 I've heard as I am writing this that there are other countries that have offered to shelter this brave whistleblower. Snowden has done service to all of humanity by bringing to the public domain information that truly belongs there. It is ironic that Snowden is to be charged for spying by blowing the whistle on the fact that NSA is spying on everyone with much deeper probing into our personal lives then even Stasi could do. I am sorry that Iceland might not be an option. It would have made me exceptionally proud if it was. 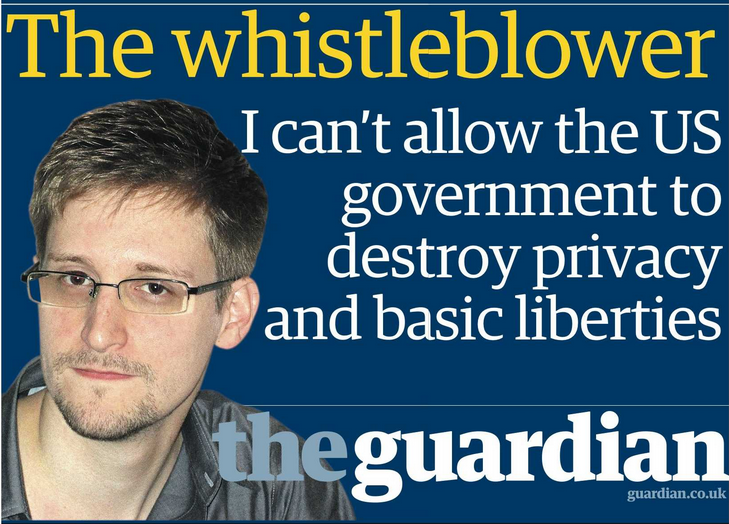 The war on whistleblowers needs to stop. I see Manning, Brown, Hammond and so many others as political prisoners of the information revolution. If extradited to the USA, on the charges of espionage, Snowden’s fate might be death sentence. By not sheltering him those who reject to help him might have blood on their hands. The truth must out, can someone post this exchange between Tangerine Bolen and Washington (whitehouse) post on reddit and please do share for it does indeed show like one of the plaintiffs in the NDAA case Chomsky wrote a whole book about, that manufacturing consent (content) has to stop and the only ppl that can stop it are you my friends. Here is the exchange i was referring to: "So, I (Tangerine) emailed the Washington Post this morning about a piece written by their editorial board this week that contains two critical errors. One is this ongoing tendency in the mainstream media to conflate the AUMF and NDAA - simply functioning as the administration's mouthpiece on this front. The other is even worse - a patently false claim that the "substantial support" interpretation has been "backed by the courts". As some of you may know, "substantial support" is one of the primary terms over which we are suing - and over which we WON. The courts had not even addressed "substantial support" prior to our case - much less supported Bush's or Obama's interpretations of this rarely applied or debated term until 2012. I thought I would share the exchange I just had with WashPost. The latter sentence is patently false Mr. Baron. "Substantial support" and "associated forces" were first challenged in court in our court case, Hedges v. Obama. 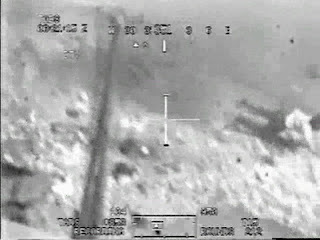 (You can read about it and access all of our court documents here: www.stopNDAA.org). I am co-plaintiffs with former NYT war correspondent Chris Hedges, Dr. Noam Chomsky, Daniel Ellsberg and others. Moreover, the term "substantial support" was first introduced into the law in Section 1021 of the 2012 NDAA - the provision over which we are suing. It has no prior history and certainly has not been "backed by the courts" - not by a long shot. In fact, the federal Judge in our case, Katherine Forrest, granted us first a temporary and then a permanent injunction against Section 1021, in part due to undefined language such as "substantial support" and "associated forces". We are currently awaiting the decision of the second-circuit court in Manhattan. Throughout our lawsuit, the federal government has tried to claim that the powers of the AUMF and the NDAA are precisely the same. They are not. And a federal judge not only agreed that they are not, she excoriated the US government for its disturbing claims in court, its lack of a defense, and its very clear assault on both the first and fifth amendments with this provision. We were awarded a "facial" ruling - the strongest ruling any judge could have given us. I'm sorry, but this is completely contrary to the claim by your editorial board. While the US government clearly appears to need to conflate the powers of the AUMF and NDAA, the AUMF provides for far narrower powers than what has suited their purposes - and the general thrust of your editorial supports that very fact. We have every reason to believe that the AUMF has been historically interpreted as the 2012 NDAA was written - over-broadly, and perhaps illegally, given what powers Congress actually granted the President in 2001. This constant conflation in the media of these two laws is egregious. It is supporting the US government's attempt to retroactively legalize and "codify" powers they were never, indeed, granted. Such lack of investigative reporting or simple discernment ensures that the pillars of our mainstream media function as mere mouthpieces to power. It contravenes everything you are supposed to be doing. Disagreements over the thrust of that editorial aside (ie, how much power and precisely what kind should the President have to go after "emerging" terror groups), our lawsuit has threatened to expose the potentially illegal application of the AUMF, possibly for a decade. Not only has this fact gone unnoticed by your paper, but now your editorial board has inadvertently supported what I would call a very deliberate and strategic conflation of laws and terms. This is not at all ok. Please talk to my attorneys and issue a reprint of that piece with corrections. 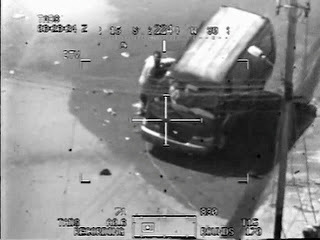 I would be happy to put you in touch with them, and also to give you a basic rundown of the incredulous things the government has claimed throughout our case (ie, even "war correspondents" can be indefinitely detained and that only advocacy and journalism efforts that are "independent" enough will be safe. "Independent" advocacy and journalism is undefined). I joined this case and organized all of our co-plaintiffs save for Mr. Hedges due to my work with WikiLeaks, as well as my hosting panel discussions and doing interviews with people and groups my government might consider unsavory. We need your newspaper of record to report the actual facts - not the confusion that has been perpetuated by the administration, the DOJ or others intent on conflating terms and powers. This is absolutely critical if we are to restore and preserve a functioning democratic republic while we work to ensure our national security. I'll forward this to our editorial page editor, Fred Hiatt. I oversee our news and features coverage, and have nothing to do with editorials. Apologies for sending it in the wrong direction. Appreciate your forwarding it. Over to you. I express no opinion on whether Tangerine Bolen could be a real person. Your allegation of factual errors in our editorial depends on the claim you are making in your lawsuit, which we, the Justice Department and other legal experts disagree with. In other words, what we have is a difference of opinion, not a factual error. Actually, no, this is not centered on a difference of opinion here, it is regarding a very specific factual error in that piece, claiming that the Bush and Obama administrations have been "backed by the courts" in the "substantial support" standard. That is patently false. The substantial support standard comes up for the first time in Hedges v. Obama, and we won. The court did NOT, in fact, back either administration on this front. Your piece is incorrect in both an historic and substantive nature with regard to "substantial" support being argued in court. Per the difference of opinion regarding powers of the AUMF and NDAA, it is irresponsible for your paper to report it as anything but opinion, given that this is being argued in federal court and the government lost on the first round. To make any kind of authoritative claims alluding to the AUMF and NDAA as providing the same exact powers is not only contradictory, by your own admission in that editorial, but irresponsibly false reporting. I am surprised by your response and dismayed by the snarky forwarding email from Mr. Hiatt. Of course I am a real person. Tangerine has been my nickname for 24 years and it is the name I go by. On all fronts, your paper's handling of this is inadequate. Your editorial is factually incorrect in the "backed by the courts" comment, and it needs to be addressed. Is there someone else with whom I should speak about this? You are welcome to submit a letter to the editor. The address is letters@washpost.com. The letters editor is Michael Larabee. I apologize for inadvertently forwarding you Mr. Hiatt’s light-hearted comment, which was not directed at you. Thanks, I appreciate the apology. While it's easy to make fun of a nickname, we are of course dealing with very serious matters here. Neither differences of opinion nor nicknames should obscure what I am sure is a mutual desire to report things factually and see a functioning balance of constitutional rights and national security. February 1st 2013 the entire parliamentary group of The Movement in the Icelandic Parliament, the Pirates of the EU; representatives from the Swedish Pirate Party, the former Secretary of State in Tunisia for Sport & Youthnominated Private Bradley Manning for the Nobel Peace Prize. 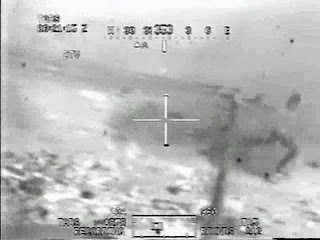 Following is the reasoning we sent to the committee explaining why we felt compelled to nominate Private Bradley Manning for this important recognition of an individual effort to have an impact for peace in our world. The lengthy personal statement to the pre-trial hearing February 28th by Bradley Manning in his own words validate that his motives were for the greater good of humankind. 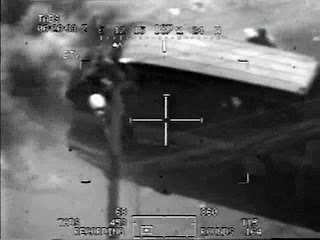 Bradley Manning has been incarcerated for more then 1000 days by the U.S. Government. He spent over ten months of that time period in solitary confinement, conditions which expert worldwide have criticized as torturous. Juan Mendez, the United Nations' Special Rapporteur on Torture and Cruel, Inhuman and Degrading Treatment or Punishment, has repeatedly requested and been denied a private meeting with Manning to assess his conditions. The documents made public by WikiLeaks should never have been kept from public scrutiny. 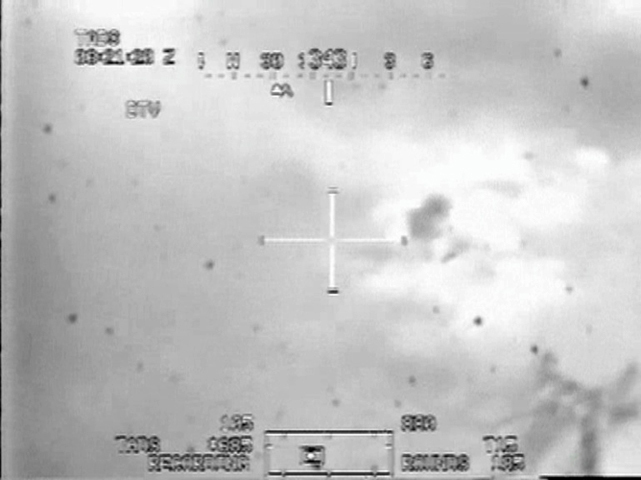 The revelations - including video documentation of an incident in which American soldiers gunned down Reuters journalists in Iraq - have helped to fuel a worldwide discussion about the overseas engagements of the United States, civilian casualties of war and rules of engagement. 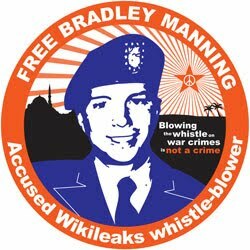 Citizens worldwide owe a great debt to the WikiLeaks whistleblower for shedding light on these issues, and so we urge the Committee to award this prestigious prize to accused whistleblower Bradley Manning. 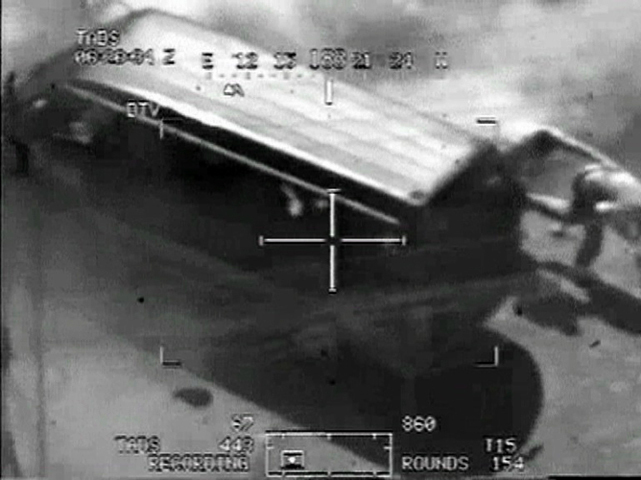 I have been approached in the last few years by many great artists/writers/filmmakers who seek to tell the story of WikiLeaks extraordinary impact on the world at its peak in 2010/2011. I have accepted to be part of many of these releases because I felt my voice in relation to the future of Freedom in Information, Expression and Speech and of course online Privacy needs to be included. I have often felt disappointed by how little focus is given, in the end result, to the important vision and work on behalf of the online tribe that is in constant struggle to ensure our online rights. Instead the projects tend to devolve into revolving about the persons involved, their drama and eccentric behavior. I guess that is what producers believe gets people interested in the story. I personally believe that people crave for a vision and some sort of solution to the threats that projects like WikiLeaks expose. I think people need and crave to understand what drives others to take risks in order to improve our world and set information free, that story is not told through ordinary personal drama. The reason why I got involved with the Dreamworking WikiLeaks project was simple. I had a chance to bring more balance to it, since it is based on two books that are focused on the personal drama, the divorce of persons but not necessary ideology. There is a reason why I have not written a book about my times with WikiLeaks, for as interesting it is to expose how people behave under extreme circumstances, I find the impact of those circumstances way more important. Everyone seems to be wounded from collaborating together and I think that is unimportant in the long run. What WikiLeaks achieved at its peak was to send a ripple effect through the fabric of history and alter the way we see our world. That happened because of the vision and courage of many people, many whom will never have their face or name attached to the story by their own choice. I chose to work with Dreamworks, because I believe there is a chance that I could impact its final outcome by offering balance. Thus I have suggested many changes that might or might not be included in relation to how Assange is written into it, for I felt it was heavily focused on eccentric and negative behavior. I was also deeply concerned about the Iran scene and to my great delight I discovered after various discussions with all the main stakeholders involved, that I was not alone about my worries and in the end it was written out. I also felt the name “The Man Who Sold the World” was iffy but I am pleased with the new name of the film, The 5th Estate”. This will be a fictional movie about an incredible time in our history that will hopefully provide an inspiration. Everyone I have talked with in relation to the making of the film respect the work of WikiLeaks but do of course have a very unbalanced view of how it was since it is based on one perspective. The perspective of those that fell out with Assange. I know that Assange has been given a chance to offer his version of accounts and that is important to me. I hope the end result will be slightly closer to the reality of everyone, not just a few players as written in the version I got to see. In regard to my own person in the film, it is fictionalized in a way that is not at all pleasing to me and does no justice to the work I did while involved with WikiLeaks. But to be perfectly honest, I don't care. What I do care about is the overall message, spirit and story. The story of a project that changed the way we see our world. A project that is still changing the way our history is unfolding and a project that will always be remembered as titling the scales of power in our world in favor of the general public and its right to be informed.